Tonbridge AC won the senior men’s and Aldershot, Farnham and District retained the senior women’s title at the English Cross Country Relays in Mansfield today (November 4). 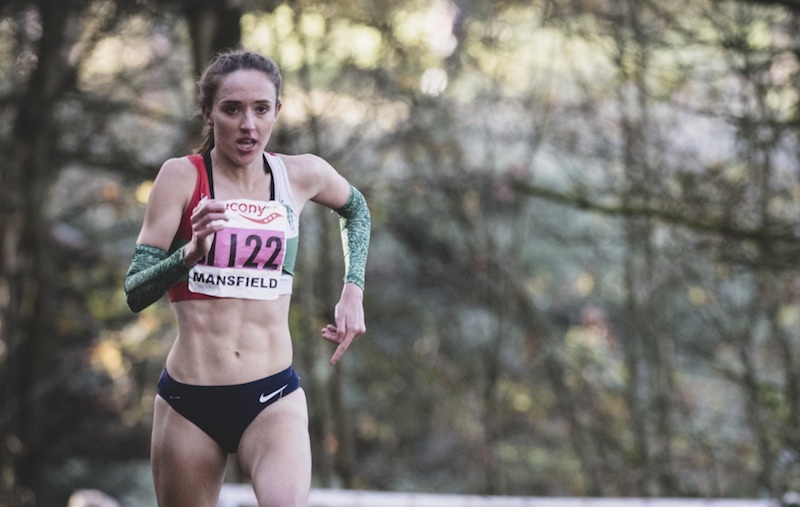 The English Cross Country relays staged at Berry Park, Mansfield always provides high-quality racing and today was no different, with record entries competing in the mud on the top field and faster undulating woods. 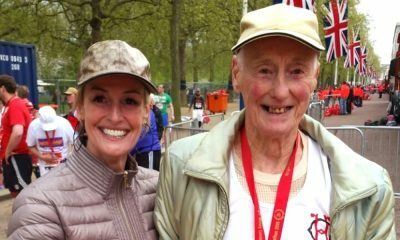 In 2016 both senior titles were won by the red, green and white vests of Aldershot, however, the year will always be remembered for the tragic deaths of club athletes Lucy Pygott and Stacey Burrows, who lost their young lives three days after both running the anchor legs for their club. Pygott emphatically breaking the tape and sealing the victory for Aldershot A team in the under-17 girls’ race. 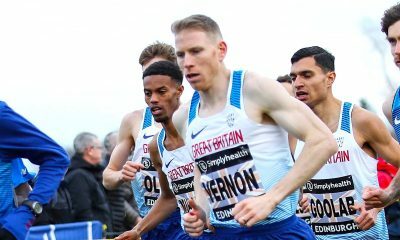 In the men’s senior race today, Patrick Dever got Preston Harriers into a leading position with fastest of the first legs. 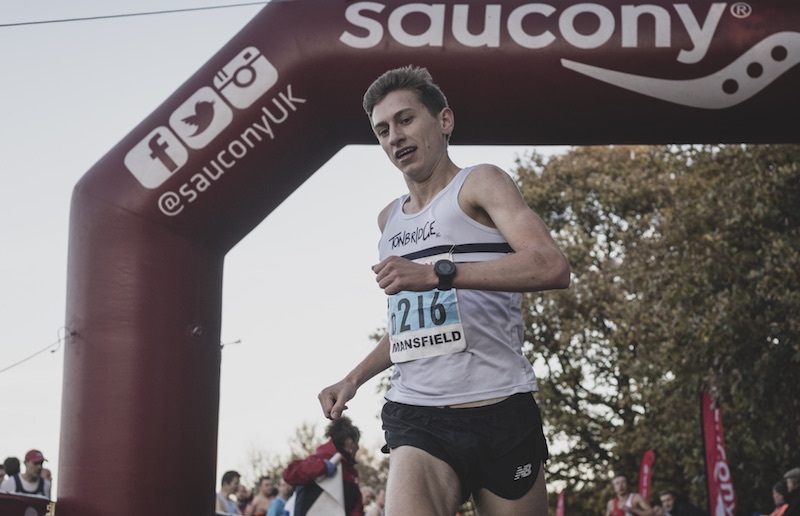 He was swiftly followed by a mix of all the top contenders and as leg two progressed it was Jack Morris of Stockport Harriers who came to the fore with Shaftesbury Barnet Harriers and City of Stoke hot on his heels. Leg three saw Andy Nixon takeover for Stockport, as Tonbridge AC and Aldershot, Farnham and District moved into the medal positions behind. It was all to play for going into the final 5km stage as little separated Tonbridge AC, Aldershot and Shaftesbury Barnet, now in third place, at the final changeover. In an exciting final burn up it was Chris Olley of Tonbridge and Jonny Hay of Aldershot who went head to head. Hay who led Aldershot to victory in 2016 couldn’t quite replicate that feat as Olley kicked to seal the title for Tonbridge. Hay secured the silver medal ahead of Shaftesbury Barnet’s Phillip Crout to complete the Men’s podium. Lincoln Wellington AC finished just outside the medals, 19 seconds adrift in 4th. Patrick Dever was rewarded with the fastest leg of the day for his 15:22:45 effort on leg one, with Lewis Moses of Gateshead Harriers next in 15:23.00 and A Brecker of City of Stoke AC in 15.25:00. 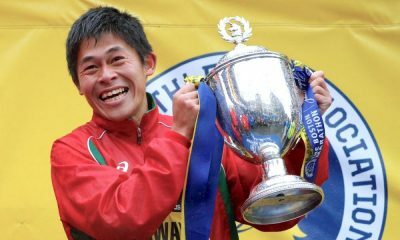 It is worth noting that in regards to fastest times, the first leg is slightly shorter in distance as a result of the start line having been moved forward a few metres in recent years to avoid the danger of such a downhill mass start. Taking this in to account the final leg from Chris Olley is even more impressive, not only to out-kick Jonny Hay but also to clock a time of 15:29:25. Emelia Gorecka established a lead for Aldershot in the senior women’s race after taking over in third place after the first leg. Emily Hosker Thornhill then had the task of holding the lead over the final 3km. Like in 2016, she ran a superb anchor leg and ensured the victory went to Aldershot in an overall time of 29:48:05. 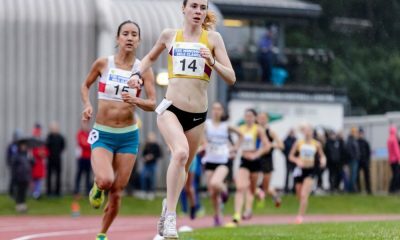 The race for silver and bronze saw Leeds City go one place better than last year as Lucy Crookes held off Charnwood’s Juliet Potter in the final stages. The fastest leg of the day went to City of Stoke AC’s Kate Holt in 09:37:85, closely followed by Elle Vernon of Stockport in 09:39:05, Kate Bingle of Aldershot 09:44:25 and Claire Duck from Leeds City 09:57:45, all on leg one. Archie Walton won the junior men’s race for Loughborough, however with university team’s only eligible to compete, the medals were awarded to Tonbridge in second. Warrington sealed the junior women’s title with a fantastic final leg from Harriet Knowles-Jones. (please note: no results of incomplete teams were available at the time of writing so the fastest leg results may differ).